YVETTE HARDIE is a theatre director, producer, and educator active in the world of theatre and performance, with a focus on children and youth. She initiated the launch of ASSITEJ SA (the national centre of the International Association of Theatre for Children and Young People) in 2007, and leads the organisation as Director. She is currently serving her second term as President of the international ASSITEJ (2011-2017), a network for theatre for young audiences with members from around 100 countries. In these capacities, she creates opportunities for artistic exchange, mentorship, skills development and cross-cultural collaboration across the world, while working to invigorate the South African theatrical landscape with work of the highest quality and widest accessibility. In Africa, she serves as Deputy Chairperson of ACYTA (African Children and Youth Theatre Arena), the regional network of ASSITEJ centres. She has written and spoken extensively on issues relating to arts for young audiences, arts education and arts for reconciliation and conflict resolution around the globe. She is valued for her work in Arts Education, having written national curricula and textbooks for both Dramatic and Creative Arts, and having been involved in teacher training over a period of some 15 years. Yvette also runs workshops in a variety of aspects related to theatre, including a focus on voice and speech, and is a certified teacher of the Lessac technique. She has an MA in Theatre Practice from Tshwane University of Technology. She creates works that are large scale and interactive that bring families together in public arenas to participate in spectacular visual play spaces. These works have children at the heart of the art created and the art performed – working with instinctual participation to empower kids as social actors with agency and control. In 2003, she was the Australian representative at the International Director's Forum hosted by ASSITEJ Germany. In 2004 she was on the National Board of YPAA (Young People and the Arts, Australia) and in 2007 on the steering committee for UNIMA international congress and festival in Perth. In 2011 Sue was one of a panel of leading Australian arts organisations for the ASSITEJ International Children's Theatre Festival and Congress in Denmark and Sweden and was keynote speaker for the YPAA National Symposium in Sydney 2012 and the Create, Connect, Empower Statewide Forum in Tasmania 2013. Further forums and workshops across the world include Macau, Norway and Abu Dhabi. Sue is currently the International Representative for YPAA and a member of the Executive Committee of ASSITEJ International. I have been working in theatre for children and young people since 1992. As an actor, I was a member of the Buenos Aires Theatre Group from 1993 to 2010, performing in about 11 plays, and participating in different international festivals in Brazil, Venezuela, Uruguay, Chile and El Salvador. I started working as a director in 2005, and since then I have founded two theatre groups. The first one is called The Little House Inhabitants, which has been producing shows for children for about seven years. The other group is called Oberiu, dedicated to theatre for teenagers. I have also been a member of the board of ATINA (ASSITEJ Argentina) since 2005; I was the Treasurer from 2005 to 2011 and the Assistant Treasurer from 2011 to date. Since 2006 I have been the Artistic Manager of the Universidad Popular de Belgrano in Buenos Aires (UPeBe) and one of the organizers of the Theater, Puppets and Stories Encounter, which will hold its 20th edition in 2014. François Fogel has been a professional photographer, specialised in performing arts, then the webmaster of the first French portail dedicated to theatre for young audiences. From 2012 on, he contributed to the establishment of a renewed French national center of ASSITEJ, where he served as secretary. He was elected at the Executive Committee of ASSITEJ at the Congress of Warsaw, in 2014. With his colleagues of the Promotion workgroup, he participated in the project of the new website and newsletter of ASSITEJ, and in all the communication aspects of the association. In the last period, he contributed to the new program of regional workshops of ASSITEJ, by coordinating "Shaping stories / Construire des histoires", a playwriting laboratory for all the French – speaking TYA professionals in Africa. Since the merging of the French international TYA association (ASSITEJ France) with the national one (Scènes d'enfances et d'ailleurs), in 2015, he is employed as manager of international and communication businesses of the new organisation, Scènes d'enfance – ASSITEJ France. Roberto Frabetti works in La Baracca-Testoni Ragazzi of Bologna, the company he and other artists founded in 1976, as director, author, actor, workshop leader and theatre manager. He is the project manager of Small size, big citizens – Widening of the European Network for the diffusion of the performing arts for Early Years, a project funded by the European Commission through its Culture Programme. Since 1987 he has taken part in conceiving and coordinating the research " Theatre and Early years", with the cooperation of pedagogues and teachers from the Municipality of Bologna and artists from La Baracca. So far, this research has led to the production of 33 shows dedicated to children from 1 to 3 years old. He is the artistic and organizing director of the "Visioni di futuro, visioni di teatro… – International festival of theatre and culture for early childhood", a La Baracca – Testoni Ragazzi project. He is one of the promoters of the Charter of children's rights to art and culture, a La Baracca – Testoni Ragazzi project awarded the Medal of the Presidency of the Italian Republic. On behalf of La Baracca – Testoni Ragazzi, he received the "ASSITEJ Award for Artistic Excellence 2008" for the project "Theatre for the very young, 0-3 years". and the "Premio nazionale Infanzia «Piccolo Plauto» 2013" for its "Contribution to Children's Culture". In 2013 he was awarded the "ASSITEJ Germany Award 2013 – the ASSITEJ Prize for special achievements in the field of Theatre for Young Audiences"
He has written 52 plays" for children and young people. His shows have been presented in Italy and abroad, and translated in Germany, Austria, Switzerland, Spain, France, Netherlands and Belgium. He has also written articles for various anthologies. TATIANA BOBROVA is chief coordinator and programmer of International Theatre Kingfestival and manager of Novgorod theatre for children and youth “Mali” (Velikiy Novgorod, Russia), composer, journalist, focusing on culture and theatre. From 2015 she is a Vice President of Russian centre ASSITEJ. She educated specialty “journalism” in Saint-Petersburg State University, member of the Theatre Union of Russia. Author of articles about culture and theatre, editor of radio program about theatre for young audience “T-Time”, editor of www.kingfestival.ru Organizer and programmer of International theatre Kingfestival, devoted to contemporary productions in drama, puppetry and dance area for young audience. The festival presents new theatre productions based on myth and fantastic theme of all theatre disciplines, bringing high quality artistic works for young public. Every two years festival presents new productions from Russia, Europe and Asia. Beside the main program, the festival organize special events as exhibition of theatre playbills from different theatres for children and youth, actor’s workshops, theatre lectures and meetings with festival programmers of different countries. She creates and presents International theatre laboratory “Young critics is a future of theatre” for young critics from Russia and Europe, producer of culture projects about theatre of different countries as “Swiss Step”, “Latvian Line”, “Polish Line”, “Danish Focus”, “Italian Line”, Hansa Street Theatre festival; producer of international projects with European and Russian directors and artists, organizer of exhibition of theatre posters from different countries, she works in cooperation with Novgorod State University in educational projects. She is organizer of project “New faces of Russian ASSITEJ” opening new ways of cooperation for theatre specialists in theatre for young audience, developing exchange for young professionals, promoting new artistic forms in theatre for young generation. Participant of international festivals and theatre seminars in Russia, Europe and Asia, as a composer working with Novgorod theatre for children and youth (Russia) and in cooperation with Latvian Puppet theatre (Latvia). Stefan Fischer-Fels, born 1964 in Berlin. Artistic Director of Junges Schauspielhaus Düsseldorf 2003 – 2011. Artistic Director of Grips Theater Berlin 2011 – 2016. Artistic Director of Junges Schauspiel Düsseldorfer Schauspielhaus since 2016. Member of the Board of Assitej Germany. I have been working for the performing arts field for more than 20 years as an arts manager and administrator. During the time the Theatre for Young Audience is a very important part of my career and life. I have worked for ASSITEJ Korea as the secretary general and a board member for several years. My wife also started her career as a play director directing the TYA and continued for about 10 years. I, now, am working for Korea Arts Management Service, which is a sort of government agency for promoting international exchanges of Korean artists or arts organisations. Cecile Lundsholt’s experience with performing arts for a young audience is extensive and varied, from her work as an artistic director, actor and pedagogue, to her commitment to ASSITEJ Norway and international projects. Cecilie Lundsholt is the artistic director of Barneteatret Vårt in the city of Ålesund, western Norway, established by Teatret Vårt in 2010. Barneteatret Vårt has as its main goal to produce theatre for children and young people from ages between 2-15 years, a commitment very rare in Norway’s theatre world. Lundsholt is also artistic director for the independent company Erler Productions, which has received extensive support and grants. She has established her own company Cecilie Lundsholt Produksjoner, and was active in establishing Soria under Moria Teater, a theatre which specialized in performances for children and young people. As an actor, Lundsholt has participated in more than 35 productions, with a specialization in theatre for a young audience. She has toured extensively with the Cultural Rucksack, and has performed at several festivals both in Norway and internationally. Lundsholt has an education in acting from Rose Bruford College and Västanå Teater in Sweden. Lundsholt was granted the miscellaneous grant for artistic activity in 2016, 2012 and 2013 and the Norwegian State Work Grant in 2008 and 2009, among other grants and scholarships. Since 2016, Lundshot holds a position as member of ASSITEJ Norway. Her knowledge and experience, and her incessant engagement in the arts for children have made her a very valuable member of ASSITEJ. Thorough her work at Barneteatret Vårt, she has been involved in the European project Platform Shift +. Through this she has gained contacts and insight into the international scene of TYA, and she projects a strong commitment and curiosity for exchange and sharing across artistic and geographical boarders and differences. I’m a director, playwright, and educator. Now more than ever, I feel the need to answer the call for service and help represent the theatre for young audiences artists of the United States on an international level. All of us want to build educational and collaborative bridges, not walls. We want to extend a hand and help others who are looking for it, at the same time seek answers and ask questions about those things that we are curious about. All members of ASSITEJ, no matter where we come from in the world, create theatre because we wish to influence the future global citizens of the world, children. Because of my life’s dedication to young people, as well as a deep gratitude to an organization which has changed my life, I wish to seek candidacy for a seat on the ASSITEJ Executive Committee. I have had the great good fortune over the last decade to professionally “grow up” while attending ASSITEJ events. Cape Town will be the fourth Congress that I will have participated in. In addition to those events, I attended the first Global Gathering in Okinawa as well as the International Meetings in Berlin and Birmingham. In March, I will be a guest at the Young at Art Festival in Belfast. But perhaps one of the most influential events that I’ve ever been invited to be a part of was the Next Generation at the Tifli Festival organized by ASSITEJ India. The memories of my time there, the friendships with artists from places like India, Ireland, Iceland, Jordan, Afghanistan, Austria, Sri Lanka, and South Africa, and the knowledge I learned there I know will stick with me throughout my career and lifetime. This year I became Executive Artistic Director of Nashville Children’s Theatre, the oldest professional theatre for young audiences in the United States and “One of the Top Five Theatres for Young Audiences in the Country,” according to TIME magazine. I know that my ASSITEJ experiences helped me receive this dream job. Theatre director. Born in Tokyo in 1972. 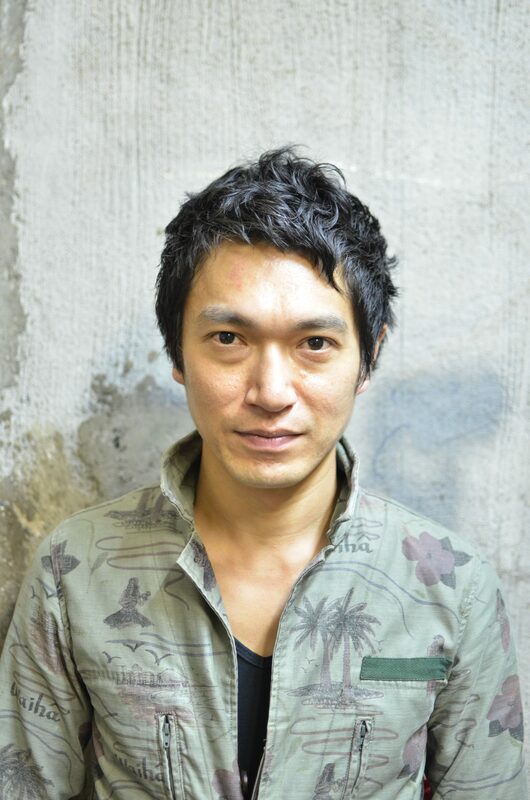 He leads a theater company called "company ma" ( company-ma.com), founded in 2014, aiming to be a theatre collective with diversity performing non-verbal theatre, physical theatre, theatre for children, and theatre for all ages, not only in Japan but world wide. It also facilitates a wide range of theatre workshops inclusively with children and adults with different abilities. He grew up, watching Chaplin's films when he was little. He watched a musical "Adventurers" and decided to work for theatre when he was 8. He directed and played the lead in "One Flew Over the Cuckoo's Nest" and decided to study abroad when he was 15. He received a Bachelor of Arts in Theater Arts from San Francisco State University in 1995. After returning to Japan, He learned Butoh from Kazuo Ohno and worked as an actor domestically as well as internationally. Recently, he directs plays for adult as well as for children, teaches children theatre, facilitates a number of workshops including a Museum Theatre Workshop at the Tokyo National Museum, and has worked for ASSITEJ for 6 years. He currently appears in the film, "A Dialogue: Living Harmony", directed by Chigumi Obayashi. Currently he is a board member of ASSITEJ Japan Center, a part time teacher at Toho Gakuen College of Drama and Music, and a research collaborator at the University of Tokyo Center for Philosophy. Manon van de Water is the Vilas-Phipps Distinguished Achievement Professor at the University of Wisconsin-Madison where she has served as the Director of the Theatre for Youth Program since 1997. Her work focuses on the mutual relationship between Art and Research in theory, practice, and pedagogy. She has published and edited numerous works in the US and abroad and received the American Alliance of Theatre and Education (AATE) 2013 Distinguished Book Award for Theatre, Youth, and Culture: A Critical and Historical Exploration (Palgrave McMillan, 2012). Manon has been a member of TYA/USA since 1992. She was one of the founders of ITYARN, the International Theatre for Young Audiences Research Network, in 2006 and has been the Chair of ITYARN from 2008-2014. ITYARN became a network member of ASSITEJ in 2011. Since its inception ITYARN has been involved in several conferences a year, which have led to publications in English and Spanish (see ITYARN.org). Manon's own practice and research have a strong multicultural and international focus. She has directed plays from Argentina, Australia, Germany, and the Netherlands, many of which were US premiers. In her spare time she translates plays together with her daughter, Karlijn.